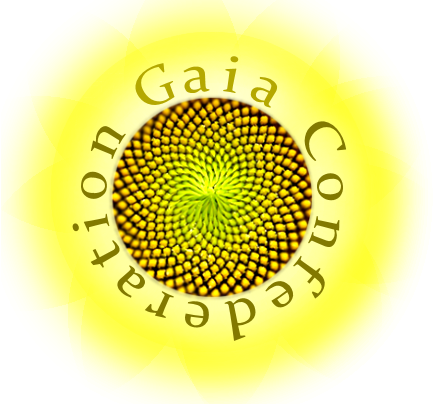 The focus wheel process is about purifying your vibration on a particular subject. Remember, Abraham has said, „Want it, and vibrate it, and it is.“ Our job is to make our vibration higher, faster and purer, all the time. And all the Abraham processes are designed to do that in one way or another. However, Abraham has stated on several tapes that the focus wheel is particularly good for taking a conflicting vibration and making it more aligned. 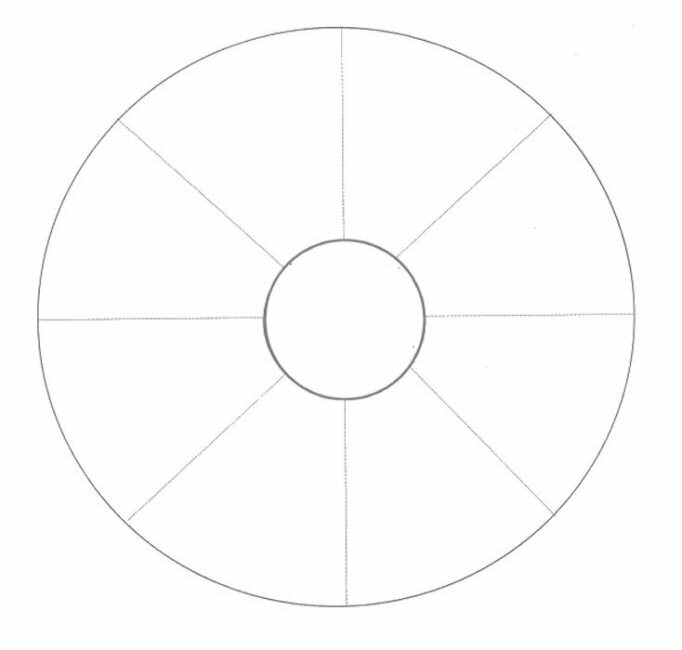 Draw a circle on a paper or download the focus wheel on this page. (Click on the image below to make it larger). Make it about the size of a doubled up fist. Now write, in little letters like you’re writing around the dial on a clock. 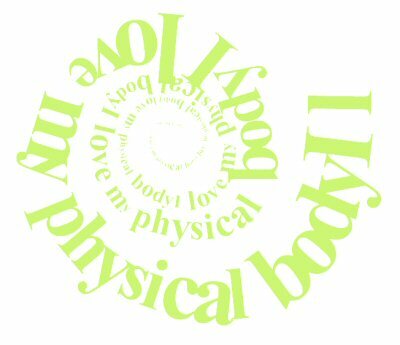 I love my physical body. My body has treated me so very well. This physical mechanism is magnificent! Nonphysical really outdid itself with this physical body. Amazing muscles, vessels, organs, nerves. I feel good in my body. Then go back to the first thing that you have written, read it and draw an arrow from the words inward to the center of the circle. And then the next, read it and draw it inward, inward inward, and right in the center of the circle write ALL IS WELL WITH MY BODY. We call this a focus wheel because in the time you were writing your thoughts about your physical body were pure thoughts. No contradictory vibration anywhere there. So law of attraction is now responding to pure vibration and in those 2 minutes you would accomplish about 5 years worth of eye push ups. Just remember that what you are wanting to do. Now somewhere on your paper draw a little circle and that circle is your creation box, it is your creative arena. And inside it write the word purify. For that is what this creation box will do for you, it will help you to purify your own thought in relation to any desire you may have. Then watch what happens. Focus wheel for aligning energy in direction of, allowing more abundance in the form of money…direct from the mouth of Esther/Abe. Things are getting better and better for me. I know that the universe is abundant in all things. As I learn to align with the things that I want, they will flow to me. I am abundant in many ways! I am feeling more alive, vital and full of energy. There are all kinds of ways for dollars to flow to me. I haven’t even begun to scratch the surface of the possibilities/probabilities. I know that abundance abounds. and I am getting closer to more avenues through which it will flow to me. I can feel it now. It is exhilarating to find things that I want, and it is so satisfying to know that the universe will find a way to deliver it. All things that I want are flowing to me. At the very center write: ABUNDANCE ABOUNDS! I know that dollars are on their way to me, because I am experiencing it as so. Take a desire you have for your life, perhaps one that hasn’t come to fruition quickly. Allow yourself at least 15 minutes when you can play with a focus wheel on this subject. Writing focuses your attention, and allows you to be more consistently positive than just thinking about your desires. Have fun with it! Make it as elaborate as you like. As long as the details feel good, you are doing very well!